Does chapter length matter? What is the average length? Discussion in 'Word Mechanics' started by mrieder79, Aug 31, 2013. I just got to a point that felt right for ending my fist chapter. It has 16k words in it. Too big? Too small? Irrelevant? It depends, I guess. One thing reading from a Kindle gives you with a very visual ease is chapter length. At the bottom of the screen there's a wee bar with dots indicating the divisions of chapters and in the last two books I've read, the chapters where quite variable in length. Particularly in The Sparrow. The majority of the chapters were more or less even in length and then there was one stonking great one right in the middle that comprised a good quarter of the book. I think that's the benefit of writing novels as opposed to screenplays or TV scripts. You can divide your story any way you want. I know my own chapters vary a great deal, when it comes to length, and I've never had any of my beta readers even mention the fact, let alone complain about it. Each chapter should probably function as a story-within-a-story, and each one will take as long as it takes. Don't let writing fascists start dictating chapter length, as well as everything else! I've seen chapters that were 30 pages and I've seen chapters that were 5. Whatever you think is best. I don't mind the length of a chapter. And also, it's the content not the length that matters to me. I agree with the others about the chapter length being as long or short as you want. That being said, 16k words is about a fifth of your average novel, so you may want to look at this from a marketing standpoint. Would you want to read a 16k word chapter? Would a publisher/agent? Just some things to think about. Mine normally end up 1000-2000 words, but it depends on the book. 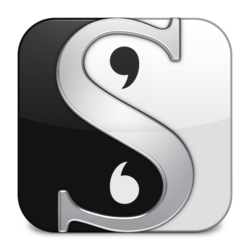 Chapters are mostly a convenient place to split up the story so the reader can put it down and come back at a later time. Dan Brown, in The Lost Symbol, has a chapter that's less than sixty words long. Sixty words. It's a little splotch of text in the middle of the page. The first draft of my novel consists of only eight chapters, averaging 9,000 to 11,000 words each. As I recall, Anthony Burgess' The Kingdom of the Wicked has only four chapters, and it's about 380 pages long in the hardcover edition. Chapter divisions are arbitrary. Don't lose sleep over how long your chapters are. Question for those of you who advocate for short chapters: Why do you advocate for short chapters? Are you only allowed to put the book down at the end of a chapter? Who made that rule? I violate that all the time. In my own work, chapter divisions indicate places where the story takes a leap, either in time or in space. That's all. I don't consider them marketing tools, and I'd hate to have to contrive a pseudo-climax every couple of pages just to keep people reading. I think that's offensive to the reader. This is one reason I don't like Dan Brown: he writes like he thinks I have no attention span; he has no respect for me. Arrgh. In my current project, my historical chapters average around 10,000 words, but my current day chapters average less than 5,000, and some as few as 2,500. I don't always use chapters so readers can put the book down. I know some writers would say that you should keep the reader reading the entire time, and I agree with that generally. However, I also believe readers should have a bit of a breather now and then - give them a chance to take it all in! This is what I sometimes do with chapters: when something unexpected or unbelievable happens, I tend to start a new chapter. Not because I want the reader to put the book down (because I'm usually "cliff-hangery" with my chapters), but because I want the reader to take that unexpected information into their brains, to mull over it in their heads. I believe stopping at one page and switching to another is break enough for this, and so chapters are useful. Just my two cents. On another note. Be careful with the chopping I talked about, it can mess you up. In my current chapter, the MC is coming out of a coma and I thought taking 808 words to get to the point where she opens her eyes was way too much. Only the problem is, I started chopping and now the chapter makes no sense and practically back to square one and writers blocked. My recommendation would be to leave the editing for now and concentrate on moving forward with the piece. 752 words may be what the scene requires, but you really won't know that until you see it in context with the rest of the piece, or at least the immediately surrounding chapters. I sometimes think we obsess over word counts the way baseball teams obsess over pitch count. You have to put it in some kind of context. In my current project, I have on a couple of occasions turned off word count in WORD because I found myself editing as I wrote, and that was hurting the prose. I find I'm much better off getting the story down and worrying about word count later. It turned out all good in the end. The scene is down to 626 words and I think that's good enough. It flows better they way I did it now, anyway. In the book I am writing right now, the first chapter is around 34,000 words, the second chapter is only 674 words. I make them as long and as short as I feel they need to be, in telling each stage of the story. I tend to write the story as a solid block and go back and divide it into chapters later. If there is a scene that begs for a chapter break, I'll put it in while I'm writing, but it's not until I'm done with the first draft that I go back and figure out where all the chapters are. When I do, I usually make my chapters somewhere between 1500-3500 words. But in the end, I agree that chapter lengths can be all over the map. It's whatever is right for your book. The answer to this and most of the questions posed by new writers can be found by reading the works of popular authors. Length is not as important (that's what she said!) as how the words are used to create the fictional flow. Sometimes very cool staff could be very small, and it's could be lot's of useless words and it will not make you feel anything. So. Everything depend. Just write it how you fill it! That's what I'm think. My chapters have no names.